Jaguar will be rolling out a few of its glorious heritage fleet at Goodwood Revival to celebrate a rich history both on and off the track. 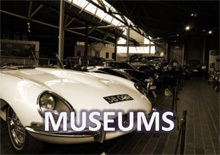 2015 is Jaguar’s 80th anniversary, so they’re presenting iconic and award winning Jaguar sports cars on its show stand. Jaguar also invites festival visitors to compete using scale model historic race cars on a custom-built Scalextric race track, which will be positioned on the main stand. 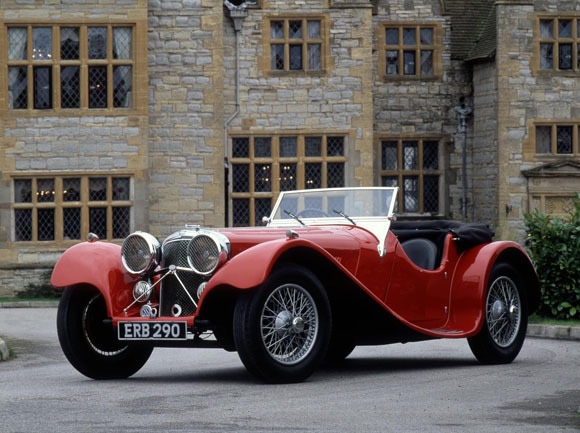 The 1938 SS100 Jaguar 2 ½ Litre (above) is one of the rarest of the breed with only 191 examples ever made. Also on display is a cherished piece of automotive history – the 1950 XK120 wearing registration plate ‘NUB 120’. Wearing chassis number 850041, the 1961 E-type was, as the chassis number denotes, the 41st E-type to ever be produced. It wears the original production features such as external bonnet locks and was reportedly first owned by the Duke of Bedford. 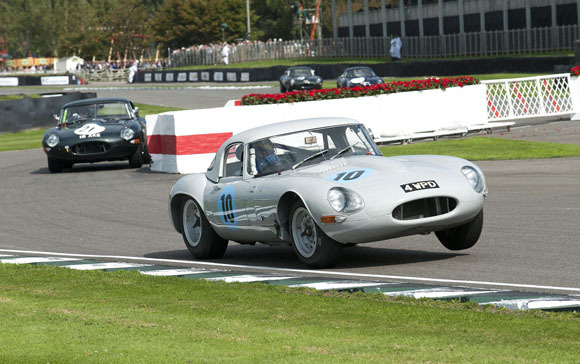 Many of Jaguar’s iconic sports cars will entertain spectators in a number of different races across the weekend on the famous Goodwood Motor Circuit. 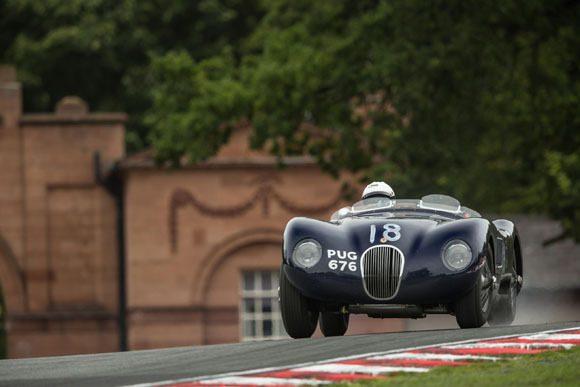 Cars including the XK120, Long nose D-type, E-type and Lister Jaguar ‘Knobbly’ will be challenging for outright victory in their respective races. Fresh from his recent Class C victory at the final round of the Jaguar Heritage Challenge and completion of the gruelling Mille Miglia earlier this year, Royal Automobile Club Motoring Committee Chairman Ben Cussons will be racing his ‘PUG 676’ C-type in the Freddie March Memorial Trophy. Headlining the range of Jaguar racing cars is one of the brand’s most significant models ever built – the Jaguar E2A Le Mans prototype, which is entered into Race 16, the Sussex Trophy. 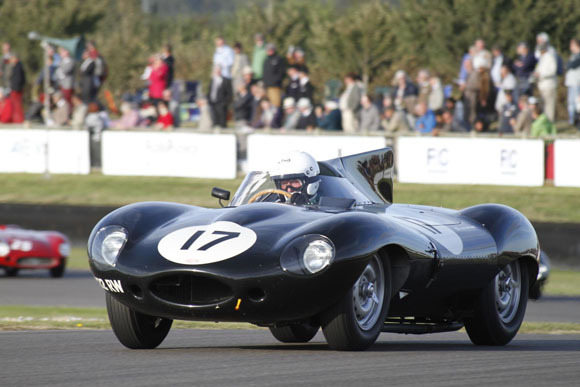 Another legendary Jaguar racing car present at the Goodwood Revival is C-type ‘MDU 212’ with chassis number XKC 005. 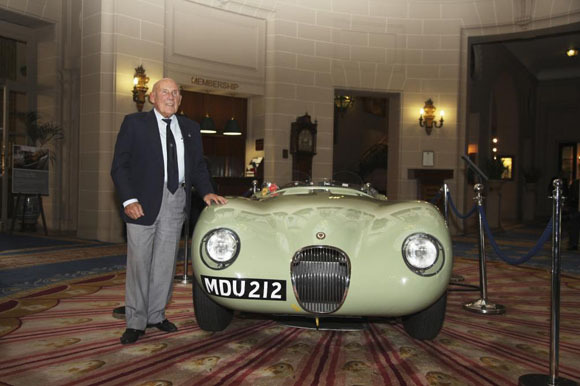 This all-original C-type, which goes on display at the dedicated Jaguar Land Rover Special Operations stand, is a truly remarkable car and is credited with winning the 1952 Reims Grand Prix with Sir Stirling Moss behind the wheel. 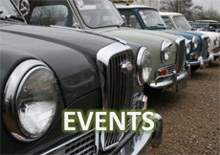 The Jaguar Land Rover Special Operations team is inviting owners of pre-1972 Jaguar cars to park in its designated area on site. In addition, owners can enjoy refreshments at the Special Operations stand by simply presenting the keyfob of their heritage model to a member of the Special Operations team. 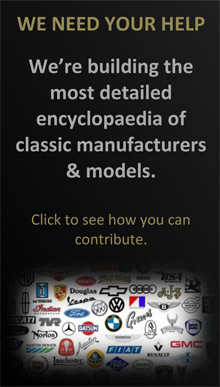 Jaguar Heritage, which forms part of Jaguar Land Rover’s Special Operations division, offers a growing catalogue of over 30,000 spare and replacement parts for a range of Heritage models 10 years out of production. In addition to its Parts business, Jaguar Heritage will showcase the services of its new expanded Browns Lane workshop, which now has the capability of carrying out service, maintenance and complete restoration on all Heritage models, including the stunning XJ220 supercar.